Today is my last day working at Campaign Against Arms Trade! 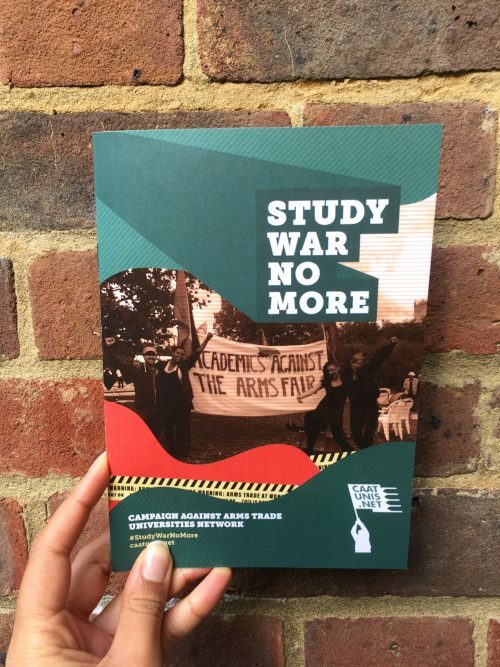 It’s been fantastic to have the chance to work with energetic and enthusiastic students all across the country who’ve been doing tons of great work to cut ties between their universities and arms companies. 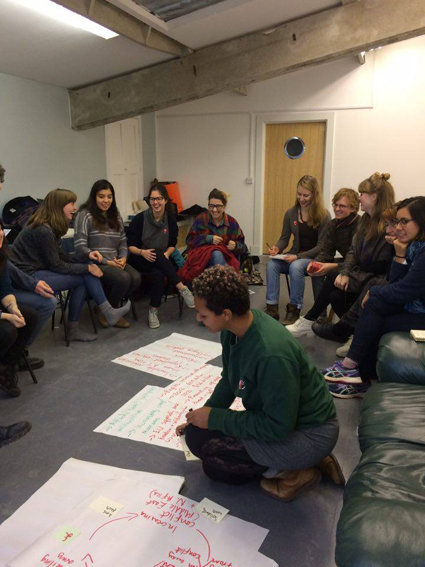 Running tens of workshops up and down the country with students who care deeply about the arms trade and supporting their growing campaigns. Coordinating Conference at the Gates, where over 60 students, academics and activists came together to run workshops, talks and public theatre on the arms trade. Developing our arguments around the arms trade with People and Planet and unveiling the links between the refugee crises, the arms trade and the growing border-security industry. Getting University Network research on universities receiving £40 million in research grants from arms companies published in The Observer: massive shout outs to Mina Manik and Sophia Turner, two amazing volunteers who helped out with this project. Producing beautiful new resources for students to use as campaign tools! Our brand new campaign guide packed with info! Although I’m leaving, there’s still loads happening at CAAT and within CAAT Universities Network. Events like The Shadow World screenings and Arming the World performances are being planned, campaign actions are in the pipeline and the number of students taking action against the arms trade keeps growing. Keep an eye out on social media for updates on what the network is up to. For campaign support between now and July (when the next coordinator will be in position) get in touch with Kirsten, our Local Groups Coordinator. Lastly, if you like the sound of what I’ve been up to, keep your eyes peeled for the advert for this amazing job in mid-April!